Keep your workout area organized, clean and, most importantly, safe. 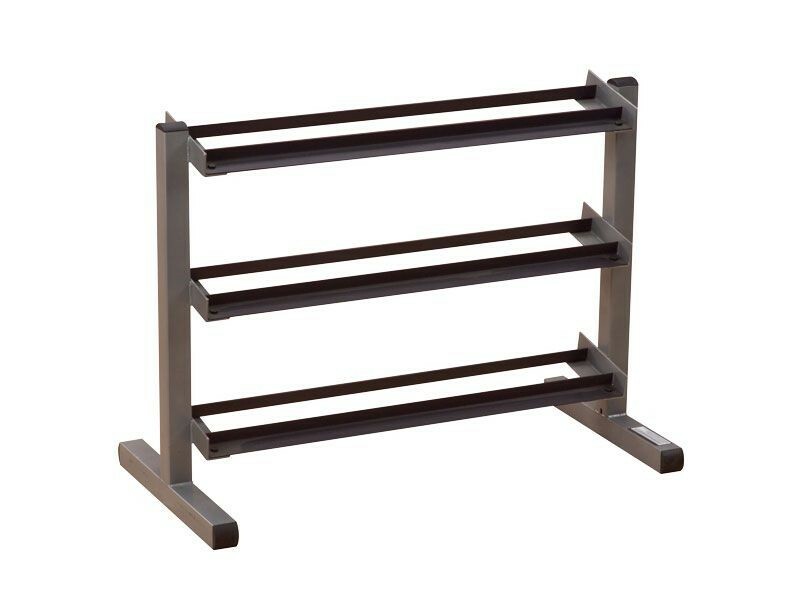 Our weight trees and dumbbell racks can be placed against any wall or centered in a room. Nobody builds stronger or more space efficient storage units. Heavy gauge steel with all-4-side welded construction is deburred inside and out for user safety. 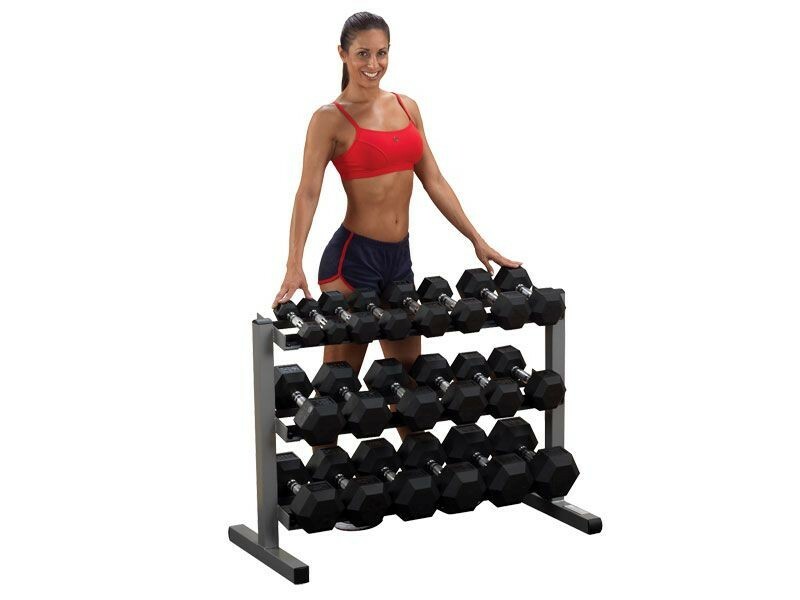 40" Wide 3-Tier Dumbbell Rack. Holds one (1) pair each of 5-50 lb. hex dumbbells. 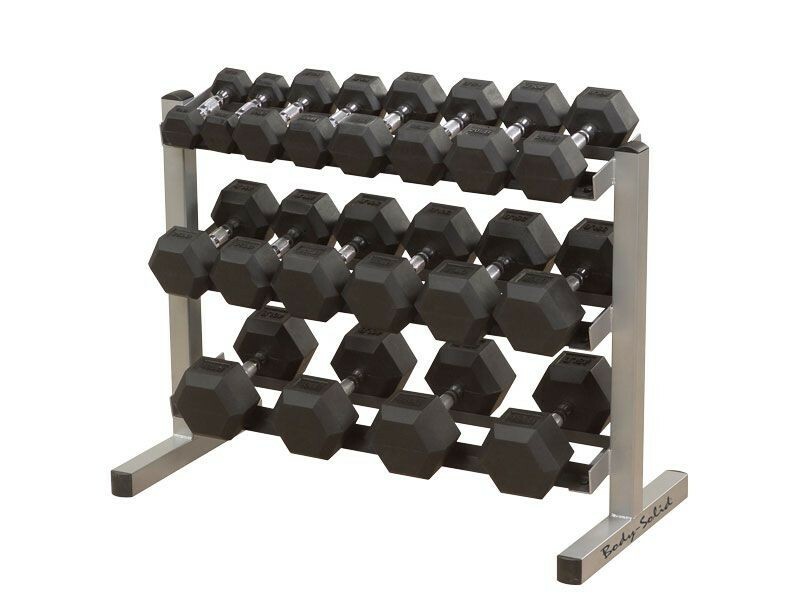 Rubber coated dumbbells are wider and will fit fewer.